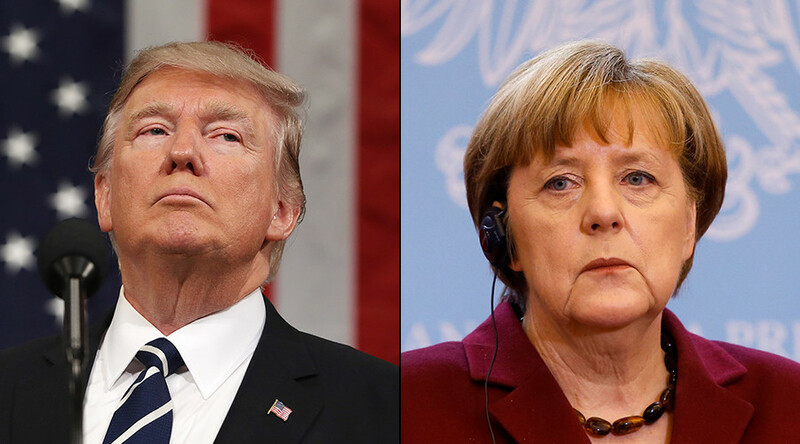 German Chancellor Angela Merkel is expected to meet US President Donald Trump at the White House in mid-March, bringing the two leaders together for their first face-to-face meeting amid growing low-key dissent between Berlin and Washington. White House spokeswoman Sarah Sanders said the meeting will take place on March 14 in Washington, AP reported. She did not elaborate on the details of the agenda. 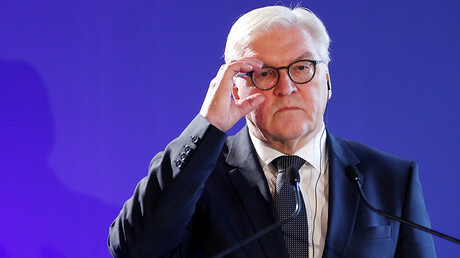 “Such a plan is in the works,” a German government source told AFP on Friday. In a separate remark, German government spokesman Steffen Seibert said that “we are not denying” reports of the planned meeting. 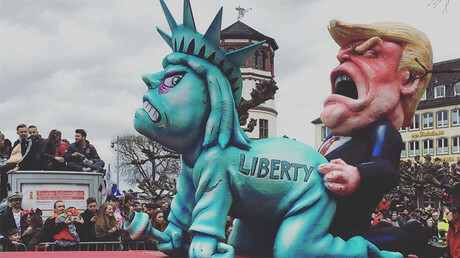 Both leaders are expected to meet in Germany at the July G20 summit, but this will be their first encounter after a rocky start to relations earlier this year amid mutual disagreements on trade, immigration, and Donald Trump’s bellicose comments about the mainstream media. The tycoon-turned-president and Angela Merkel made a joint statement after a telephone conversation in late January, formally emphasizing the importance of NATO and the transatlantic bonds, and underscoring the two countries’ willingness to cooperate on combating terrorism. However, days later Merkel lambasted Trump’s executive order that temporarily banned nationals from seven Muslim-majority countries from entering the US. “The necessary and decisive fight against terrorism does not in any way justify a widespread suspicion against people of a certain faith, namely, Muslims, or people of a certain origin,” Merkel stated, according to Frankfurter Allgemeine. “Do you know, letting all these people in, wherever they come from. And no one knows where they come from at all. You will find out, you’ve had a clear impression of that,” he said, referring to the terrorist attack last December when by an asylum-seeker from Tunisia rammed a truck into a Berlin Christmas market, killing 12 and injuring 49. “So I am of the opinion that she made a catastrophic mistake, a very serious mistake,” the Republican president said. Aside from political bickering over immigration, both countries appear to have disagreements on bilateral trade. Earlier this year, Trump threatened to impose an import tax on US-bound BMW cars, saying “it will be much better for them and for our efforts.” Sigmar Gabriel, the then-economy minister, said in response, “the US must build better cars,” arguing that trade protectionism would weaken the American economy. In sharp contrast to some European leaders who rushed to respond to Trump’s shock election, Merkel seems to be pursuing a wait-and-see approach, described by her foreign policy adviser, Christoph Heusgen, as “strategic patience,” according to Reuters.